Compact, Easy-to-Use, and Dip-proof, the PH71/PH72 series is designed specifically to meet the needs of both the field and the laboratory. 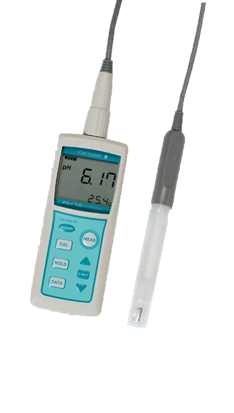 This portable pH and/or ORP meter includes advanced features such as self-diagnostics, data memory, Automatic or Manual Temperature Compensation, and several calibration options. Combined with a wide variety of pH and ORP electrodes, the PH71/PH72 series offers the flexibility to meet the requirements of nearly any pH and ORP applications.